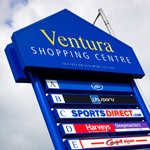 Our town centre shops are within walking distance from the railway station and bus stops. 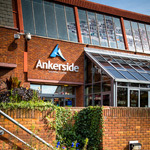 Overlooking the Castle Grounds, Ankerside Shopping centre has more than 60 shops. Centrally located it has more than 600 parking spaces (disabled parking level five). Shopmobility is also located here. 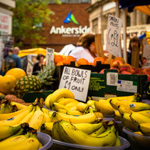 We currently hold a busy and vibrant market every Tuesday, Friday and Saturday from 8.30am to 4.30pm. There are around 100 stalls selling a wide range of products including fresh produce, household and clothes items. The operation of the market is now run by LSD Promotions Ltd.
Ventura Retail Park, Jolly Sailor Retail Park and Cardinal Point are just ten minutes on foot from the town centre, via the historic Ladybridge. They feature many high street stores and supermarkets. Its location, just off the A5, makes is convenient for visitors and residents, with ample parking available.